Several months ago, my sister Tia’s boyfriend Dan approached my boyfriend Tommy (you may know him as my Main Taste Tester) with a plan. He wanted to surprise Tia with a trip to Vegas for her 25th birthday and asked if we would like to come along, also inviting my other sister Caitlin and her boyfriend Micheal. We agreed right away. Caitlin and Micheal applied for passports and for months we plotted secretly, telling very few people about the plan as to keep it as quiet as possible. I’ve been terrified to tell anyone for fear of ruining the surprise. Even some of my close friends had no clue what was going on until right before the trip. On Saturday the 18th, Caitlin, Micheal, Tommy and I drove to Tia and Dan’s house in Manitoba. Dan had her out shopping and left the door unlocked for us to sneak in. We hid in their bedroom and when they returned home, we crept out while she was unpacking groceries to surprise her. She was shocked and instantly knew something was up. I presented her with a birthday card with a Britney Spears concert ticket tucked inside. 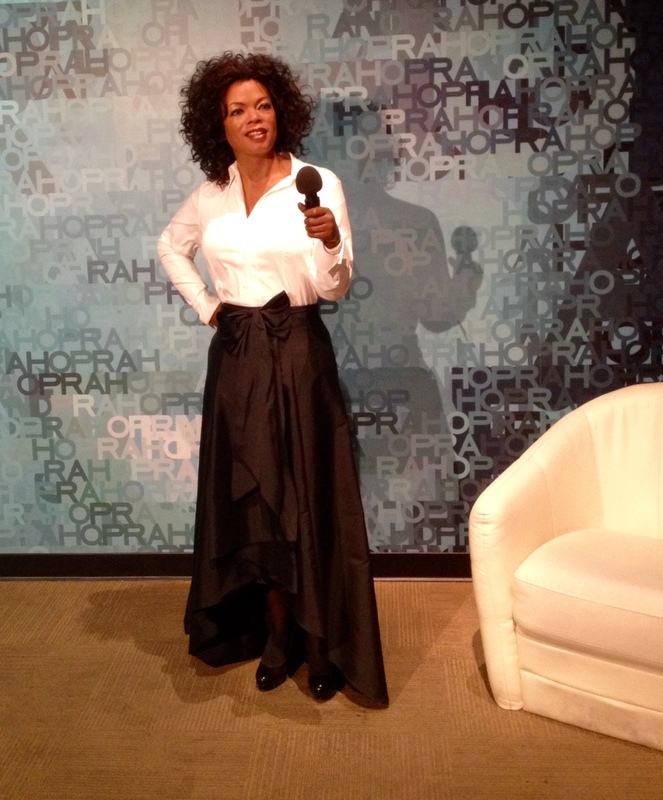 We had started taping her reaction by this point and she was totally losing it. When she read the ticket, all hell broke loose. We spent the next ten minutes or so convincing her that it was real and that yes, we were really leaving for Vegas tomorrow. She was disbelieving, freaked out, worried about the cost of the gift and then finally happy and excited, walking around the room to hug everyone. The mood in the room was electric. The buildup of keeping such a huge secret for so many months successfully had paid off and it was such a relief to have it out in the open. 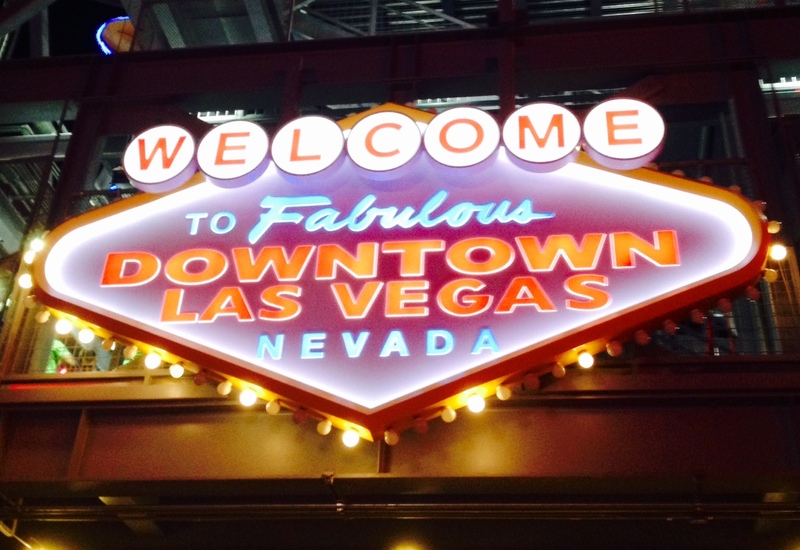 Vegas, here we come! The next morning, we drove to Bismarck at 5 a.m. and flew out from there. 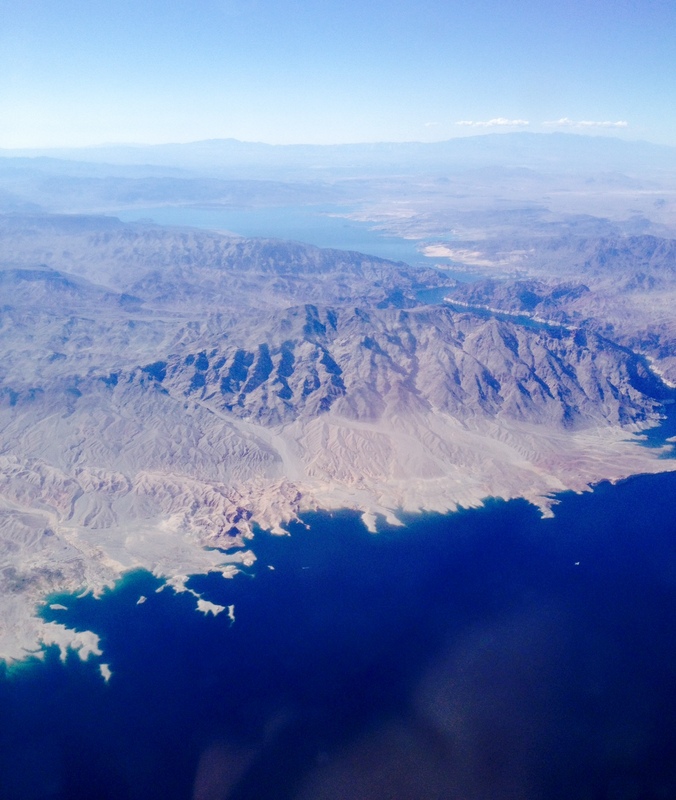 As soon as we got off the plane, I knew Vegas was like nowhere I’d ever been. 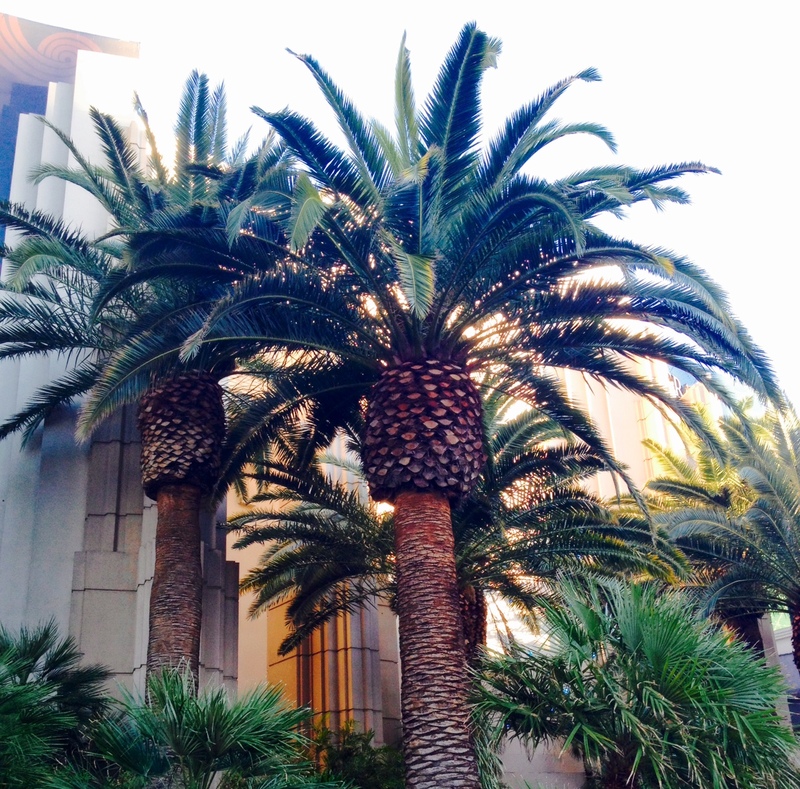 Everything was huge; the palm trees, the buildings, the landmarks. The funny thing about Vegas is that you see so many things from TV or movies that you recognize that you feel like you’re in a movie yourself. We stayed at the Luxor and I could not believe how big and crowded it was. The lineup to check in was massive. I thought we’d be there all day just checking in but eventually we got through and into our rooms. After dropping our things off, we headed to the food court in the hotel for lunch. 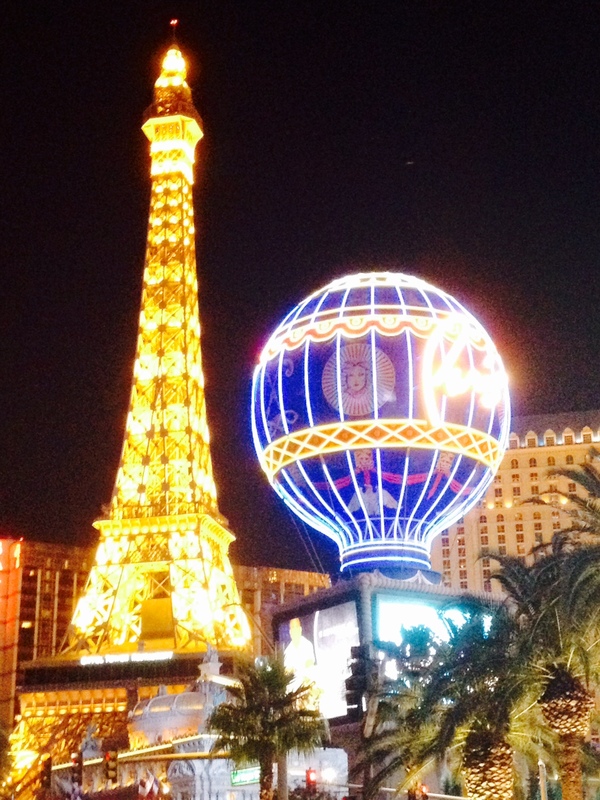 The rest of the afternoon and evening was spent exploring our hotel, the hotels next to us and the Strip. 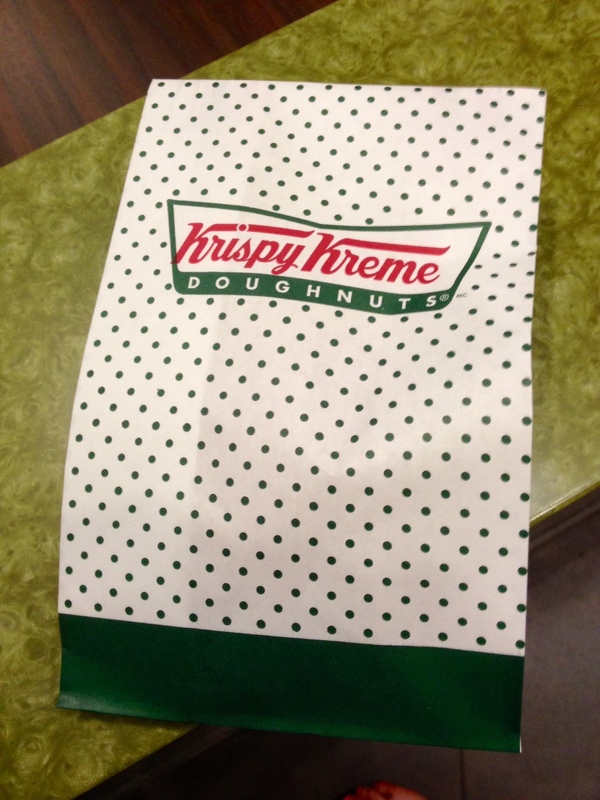 Caitlin really wanted to try a Krispy Kreme and we made sure to stop there. In a way, I’m thankful we don’t have one here because I’d want one every day. Ugh. 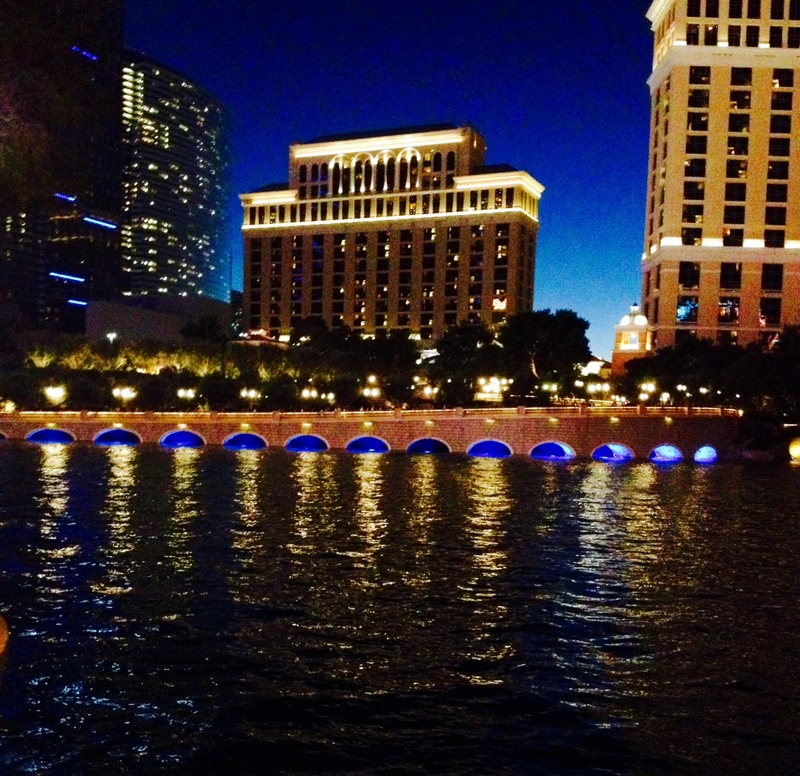 Late into the evening we hung out on the Strip and listened to a really amazing live singer. We finished off exploring the Hershey Store at New York, New York and then fell into bed. The next morning, our plan was to hit up the outlet malls. We took a bus to the South first. After a quick Dunkin Donuts breakfast stop, we got spending. We shopped until the late afternoon and decided to skip the North outlet; we were shopped out. We dropped our finds off at our hotel and then agreed to get a 24 hour buffet wristband for supper and beyond. 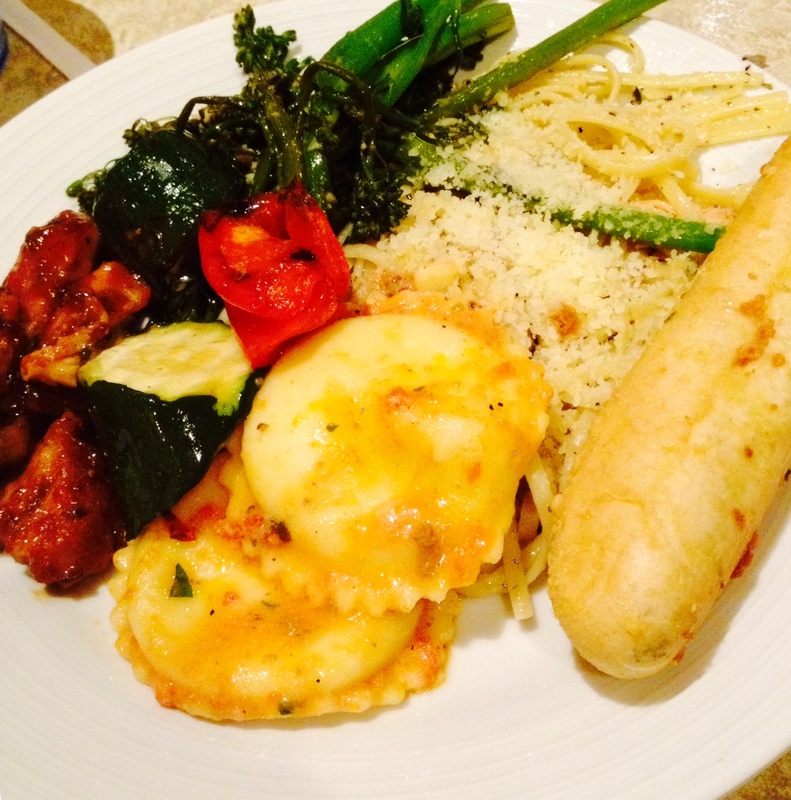 Um, this was a foodie’s dream. 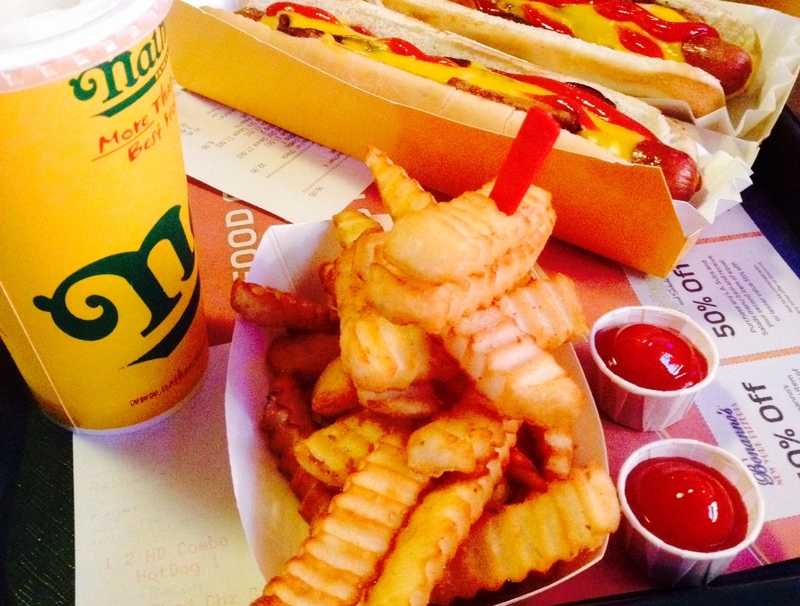 Unlimited food and drink for 24 hours at any of the 5 eligible locations. I’m not exaggerating when I say there was a station for every kind of food possible. I cannot even begin to describe the wonders that the dessert bar held. There were hundreds of cupcakes, pies, ice cream sundae bars, cheesecakes, macaroons, cotton candy. Totally stuffed after supper, we got on the bus and headed to Freemont Street, otherwise known as “Old Vegas”. 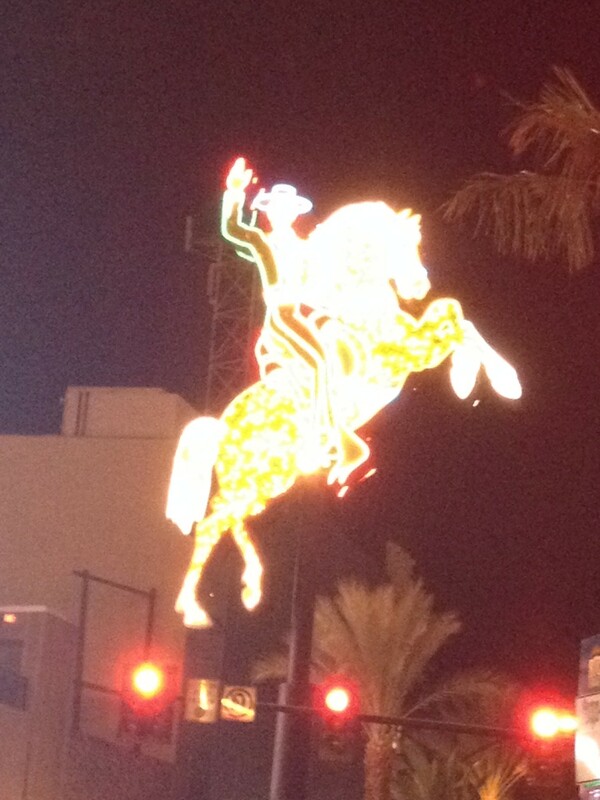 Freemont Street was really cool and a totally different Vegas experience from the Strip. It felt like going back in time, actually. When we first arrived, a man was just starting a show on the street. It didn’t look like much at first and we were just about to walk away when the guy literally bent himself in half, twisted up like a pretzel and started rolling all over the street in an inside-out ball. It was crazy and weird and I’d never seen anything like it. 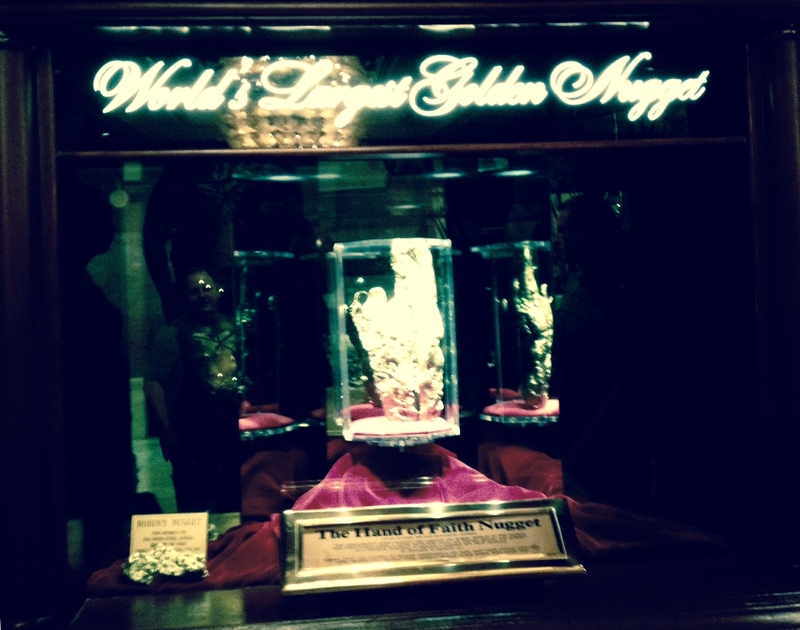 We saw lots at Freemont; painters, beggars, show girls, live bands, a few of the different casinos for a little gambling and the World’s Largest Golden Nugget. It was a really fun evening. 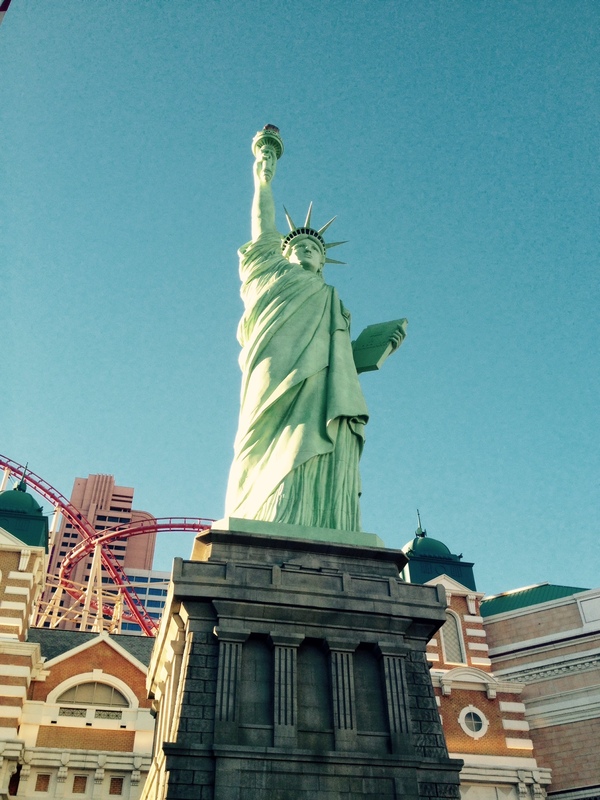 The next day we slept in a bit and decided to head to Madame Tussaud’s Wax Museum at the Venetian. We got pictures with all of our favorite celebrities. We were seeing Rock of Ages that evening so we decided to explore Paris beforehand, and stopped for supper at the Village Buffet, which was fashioned to look just like a French village with little shops. We had a beautiful meal there. The highlight for me was the crepe station. 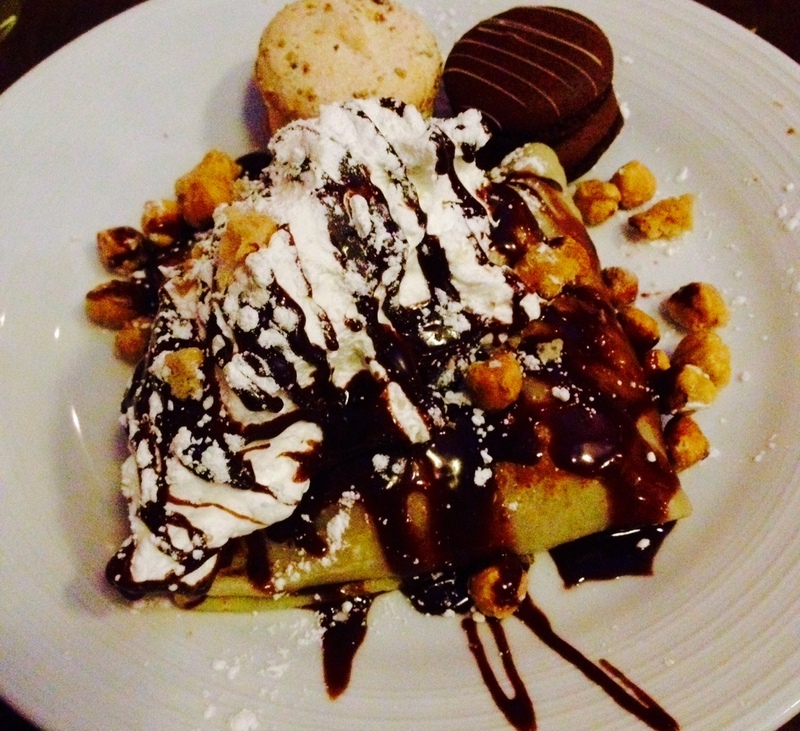 My choice was “The Monkey”; a crepe filled with caramelized banana, drizzled with warm Nutella, and garnished with whipped cream and candied hazelnuts. It was insane. When we got to the Venetian for Rock of Ages, we seated ourselves in the auditorium but were informed a few minutes later that the show had been cancelled. We were so bummed; we were really looking forward to it. Beyond that, it was too late to find anything we were really excited about that hadn’t already started. That evening we ended up chilling out together at our hotel, which wasn’t the end of the world. Vegas can leave a girl tired, that’s for sure. We planned for pool time the next morning, followed by the Titanic exhibit at the Luxor and the Britney Spears concert at Planet Hollywood. Once we got to the pool however, the plan changed. We were having so much fun in the sun, laying out, cooling off in the pool and drinking one too many Beer-garitas that we decided to skip the exhibit and stay at the pool longer. I loved how spontaneous the day was. Several hours later, we dragged our tired, sunburned selves back up to the room for a nap before our show. 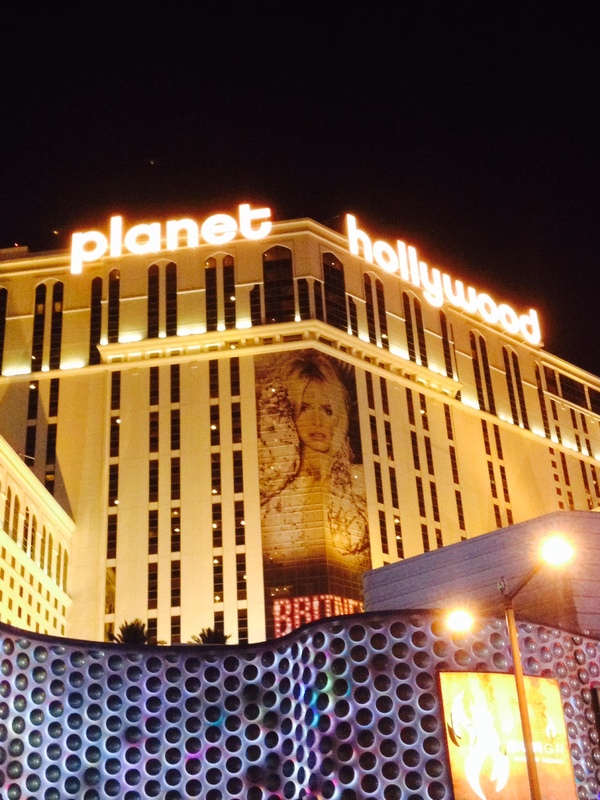 The boys dropped us off at Planet Hollywood and when we lined up, Tia was asked if we wanted a free upgrade. She agreed, and before we knew it, we were being led onto a red carpet for photos and escorted all the way to the standing room right into front of the stage! We were SO stoked, smiling like fools the entire time. The show was a lot of fun although Ms. Britney definitely seemed a little bored doing the same show she’s done a million times before. The dancers and special effects were great and so were the costumes. The highlight for me? When Britney sang “Everytime”, flower petals rained down on us and it was totally magical. The next day was Tia’s 25th birthday and our last full day in Vegas. 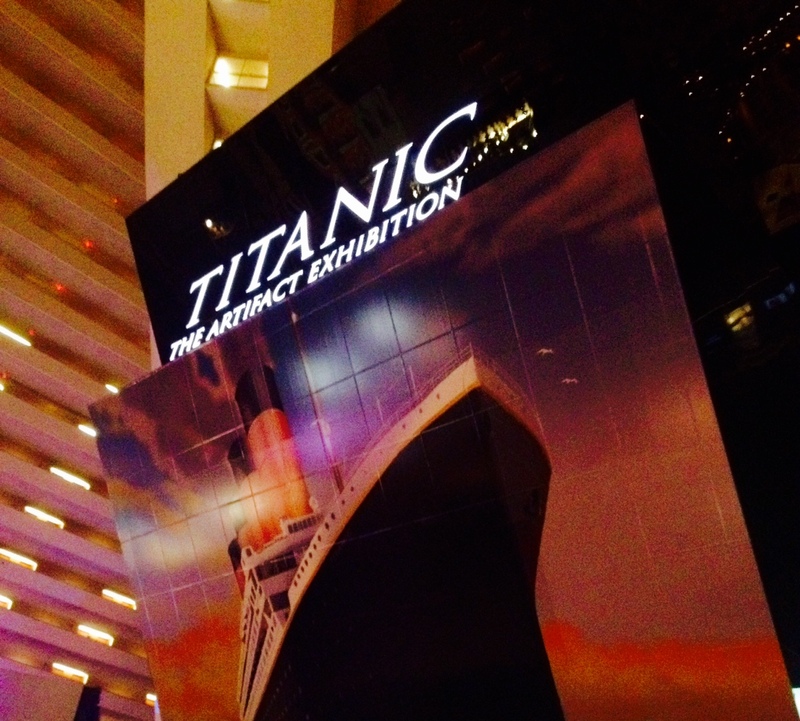 Our first stop was the Titanic exhibit in our hotel. We weren’t allowed to take photos inside, but I can say that it was incredibly interesting and I’d highly recommend it. When you go in, you get a boarding pass with the name and story of an actual passenger and at the end of the exhibit is a list of names of the lost and the survivors for you to check your “fate”. The exhibit is filled with all kinds of artifacts, everything from actual pieces of the ship, dishes, currency and even a pair of shoes. There is a replication of the grand staircase, and what a room looked like for a passenger staying in each class. You can also touch a big iceberg. This exhibit houses “The Big Piece” which is the largest piece of the ship ever brought up from the ocean. This exhibit is so well done; it was one of my favorite things we did on the trip. 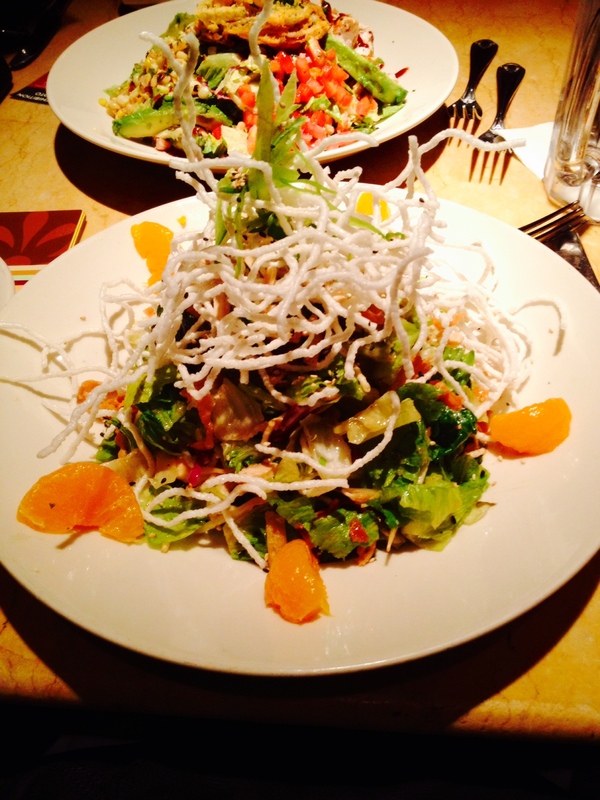 After that, a lunch at the Cheesecake Factory was in order; first, a Chinese Chicken Salad. 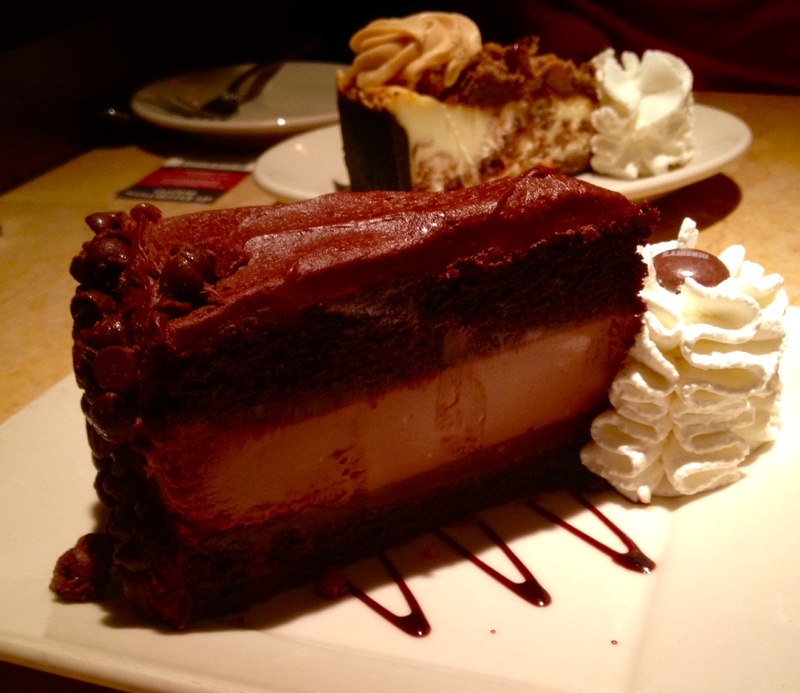 And for dessert, the Hershey’s Chocolate Bar Cheesecake. OMG. That evening, each couple split off to go on individual dates. 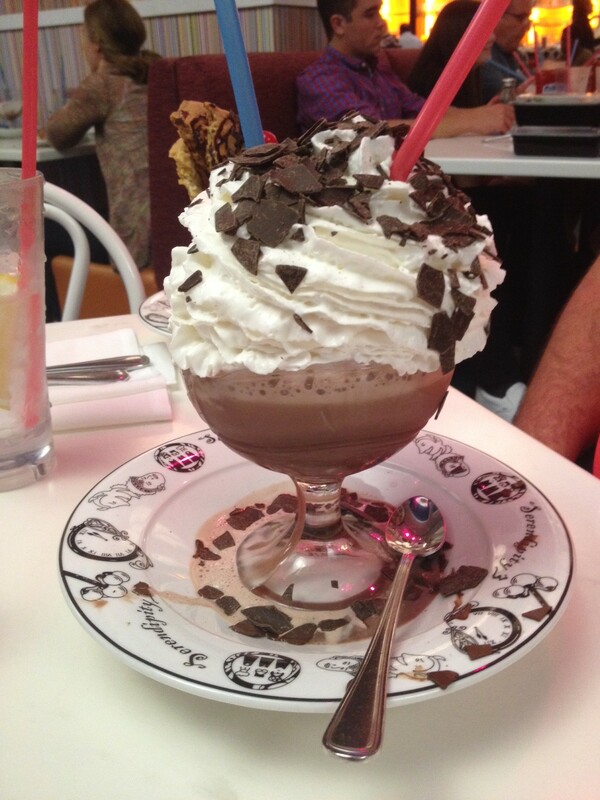 My greatest Vegas foodie wish was to try the Frozen Hot Chocolate at Serendipity 3 and on the way we did a little shopping, including a stop at the M&M’s Store. 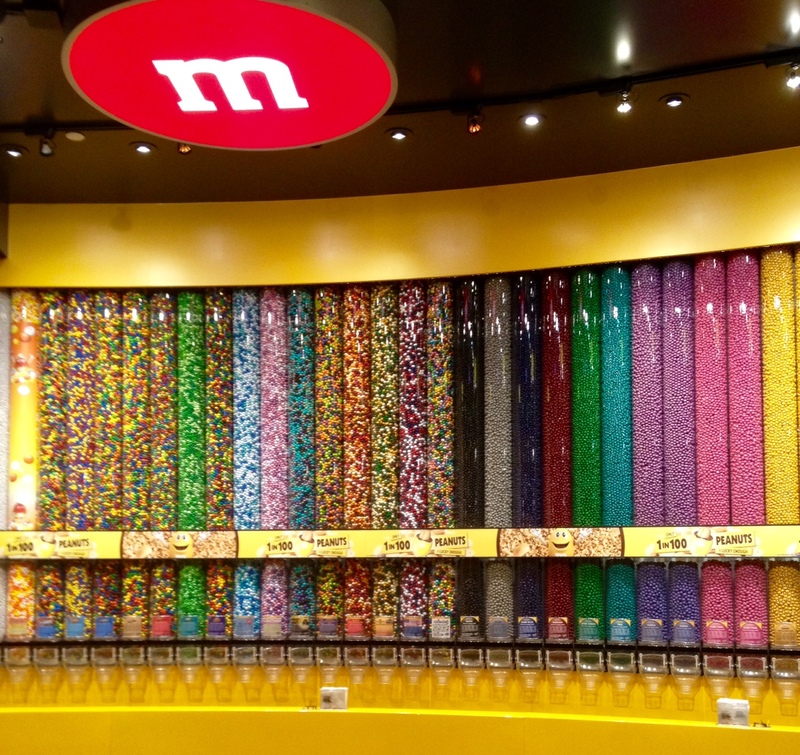 Hershey’s Chocolate Cheesecake, Frozen Hot Chocolate AND the M&M Store; was this day made for me or what? 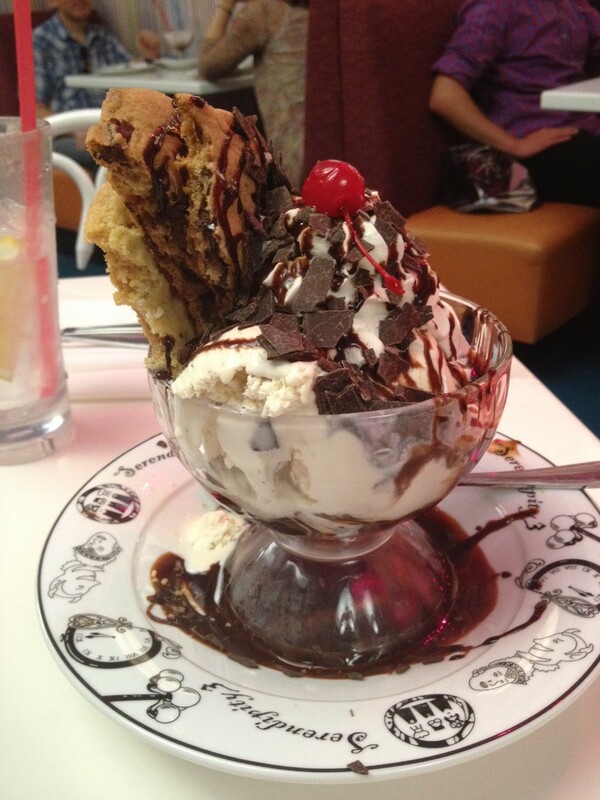 Once we got to Serendipity 3, I made my order and Tommy chose the “Lookie Lookie Gimme Cookie Sundae”, which consisted of Chocolate Chip Cookie Dough ice Cceam, hot fudge, whipped cream & 3 huge cookies halves. Um, both of these were the size of our heads and were insanely good. Everywhere I looked there were amazing things on people’s tables. I highly, highly recommend this place. The atmosphere was retro and so much fun. I loved it. We did some more strolling around and grabbed a giant pizza slice from New York, New York to eat in bed. It was a lovely evening of exploring. Once Tia and Dan got back from their date, they shared some exciting news; they are engaged!! Lots of smiles and congratulations followed as they recapped the proposal story. Dan proposed in front of the Bellagio fountain and ironically, Tommy and figured out that we were just passing by at the same time it happened. It was a happy ending to an amazing trip. The next morning was another 5 a.m. wakeup call to catch our flight. To go on this trip with some of my favorite people in the world made me feel so blessed and we all agreed that we want to come back ASAP.